FW 20 Cart - For TS 410/420, 480i, 500i, 700 and 800. For TS 410/420, 480i, 500i, 700 and 800. 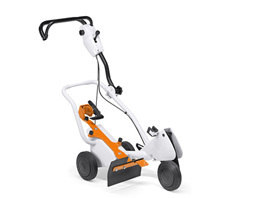 Using the STIHL cut-off saw cart is particularly recommended wherever edges have to be cut with great precision, where the cutting depth must be accurately consistent, or where cutting in long stretches. Cutting depth can be easily adjusted via the handle depth control lever. This special accessory turns your STIHL cut-off saw into a handy and mobile walk behind cut-off machine. Cut-off saw cart and mounting kit sold separately.